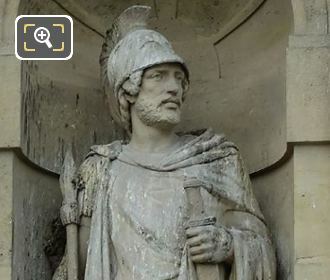 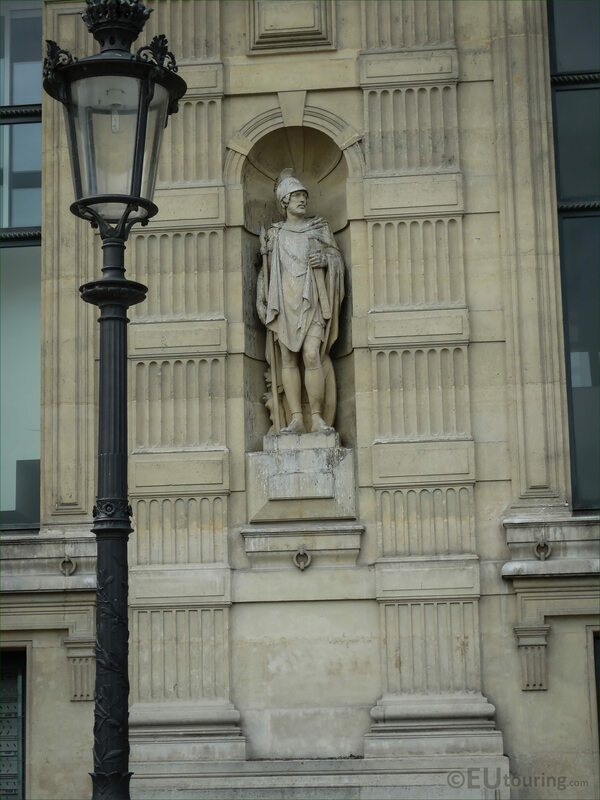 This time we were within the Cour du Carrousel of the Musee du Louvre, which is located in the 1st Arrondissement of Paris, when we took these high definition photos showing the Greek Warrior statue by Theodore Gruyere. 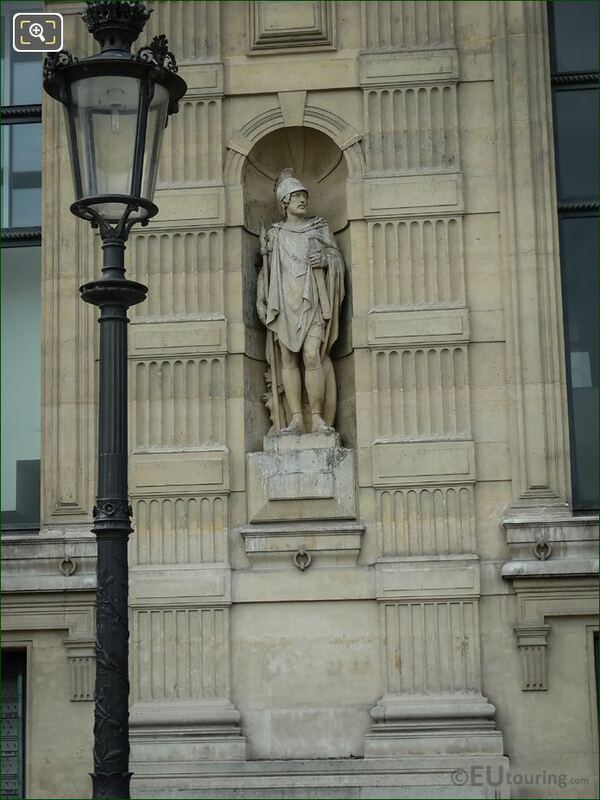 Now this statue is actually called Le Guerrier Grec in French, and is located in a niche on the first level of the facade called the Aile de Flore wing of the former Palais du Louvre, and it is positioned next to the entrance where you can also discover the two Lion statues by Auguste Cain. 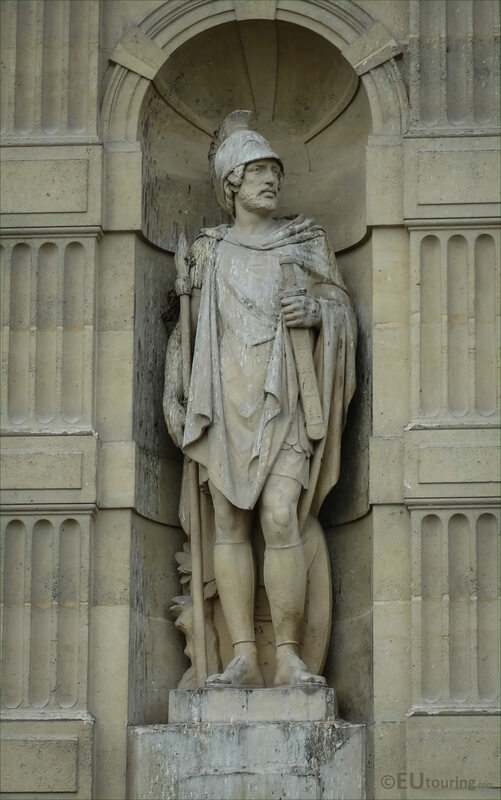 And this statue of the Greek Warrior was produced by Theodore Charles Gruyere who was born in Paris in the September of 1813, and becoming a French sculptor he won the Prix de Rome in 1839, which then brought him numerous different commissions for busts, statues and sculptures for buildings such as churches.